As I stood on a sunny San Francisco beach, little did I know that this very first wedding I was photographing, would turn into 17 years of capturing hundreds of happy, happy couples! What I've learned in those years, is that there comes a big responsibility to choose a photographer you can entrust with your precious memories, and this task can feel daunting and overwhelming. I've compiled all my years of experience into one comprehensive photography guide, to help simplify this new process, to give you easy icebreaker discussion questions and to guide you through many of the common wedding pitfalls! By the end of this 15 page guide, you’ll be excited and confident in your wedding photographer choice! 6 important questions to ask! Avoid these 5 common schedule snags. 4 different photography style examples and how to narrow down to your absolute favorite. 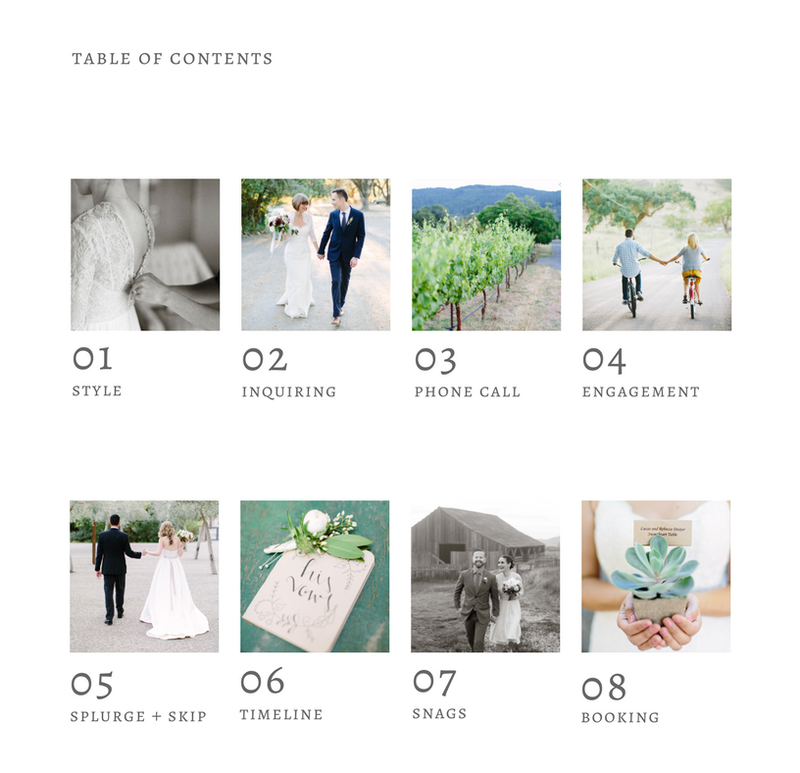 Plus bonus tips from some of my favorite Napa Valley wedding vendors! Your 15 page guide, for only $7.